Today’s Guest Blogger is the bigger than life, super talented Maryann “Boom Boom” Maisano from New Jersey. I fell in love with this woman the first time I watched her Snapchat story. She just made me laugh. Then I heard her sing and was blown away by her angel voice. So no surprise her LOVE story is going to be a bit different than the others you’ve read so far. She submitted a most amazing spoken word video compilation. But I asked if she would send me the transcribed words as well. If you can, read her beautiful story first, then at the bottom you will find the link to the Youtube to listen to her interpretation. How often in this world do we get it right, or perhaps should I say how often do we pretend to get it right. Both statements are equally true! Does any one really fall in love any more? I mean falling in love as described by the Great Poets and the Tragic Greeks. Are we driven by the psychosis of our times? Have you ever heard yourself say this! Oh, it’s better than nothing. Fortunately, I still believe. I believe in passion, in desire, in longing and in romance. I believe in magic for I have felt the fire. Some people look to find a reason to believe and I believe that there is a reason for everything. 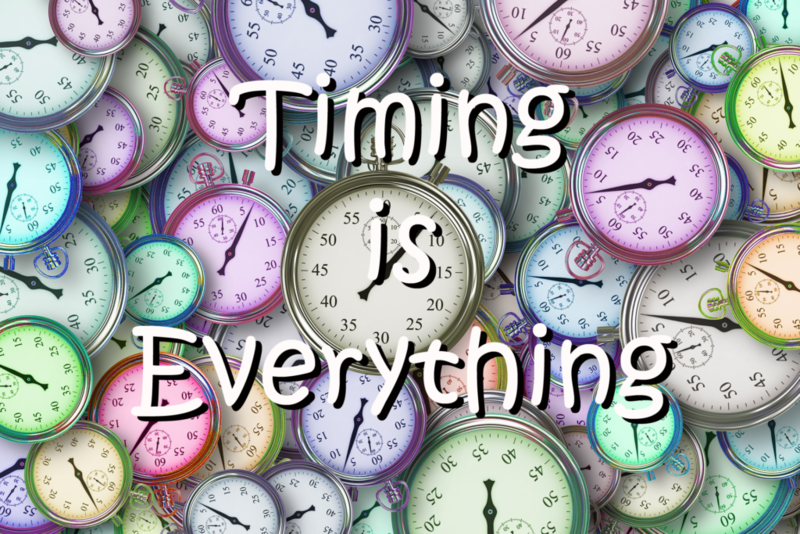 Timing is a part of structure and cohesiveness. A great concerto can be a disaster if played in the wrong time and a great romance might never be explored because of poor timing. I don’t think we realize how much we use that word, “Time”. Whether for positive or negative connotation it’s a word that has less impact but greater value. For example: I had a great time last night! Okay, it’s time for bed. It’s time I should be leaving. If we only had more time! I wish I had met you at another time in my life. This is bad timing. Time heals all wounds. And oh yes – God I’ve lost track of all time. I think that’s the most frightening…. I believe that time is a lesson. Whether it be fragments, hours, days, months or years. Within that duration we learn about ourselves. We learn how to deal with our journey and how other factors and people can cloud our vision and our emotions. We learn that the Great Poets and the Tragic Greeks are history and their words have faded. We are now tainted … Our spontaneity is squelched and our passion is now guarded. Our view is contorted and you feel every one who enters your world has an agenda that will cause you pain. In some cases that might be true but it might be something you need to experience. You can continue to gather brick and mortar to protect your existence but you’ll never find euphoria. Your energy will only attract those that are less than you, those that will never challenge you and those that will never devastate you. A great prophylactic but no penetration. So, the next time you meet someone and your intrigued or you find they motivate you and excite you don’t use timing as your scapegoat! Because that chance meeting might not be chance. That might be your most important moment in time. That might be your Great Poet or your Tragic Greek. Devastation is passing timing is everything. Of course, they say that time is an illusion? I love how Maryann says in the Youtube video description for this, “the deeper side of Maryann” because if you watch her other videos (and I encourage you to subscribe to her channel) you will get what she means in that comment. But here is the thing, we ALL have many sides. And I love when people have the courage to share all their sides not just the one that gets the most Instagram likes! Maryann is a modern day Renaissance woman! A singer, songwriter, comic, actor, musician and all around cool chick! It is on my bucket list to see The Italian Chicks show live one day! We could all do with a good laugh. Yet life does have its shadows and disappointments and this beautifully written piece of Maryann’s shows her range and courage to explore those depths. Another fun aspect of Maryann’s purpose in life, is to host her weekly Wednesday Facebook Live episode with a different guest each week. This week she will be interviewing fellow guest blogger Kim Fleck. 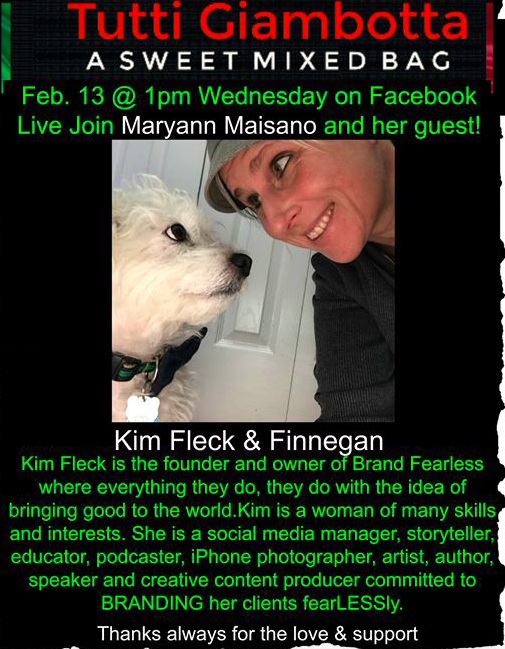 And the following week I’m delighted to say I will a guest on Maryann’s show as well. And this is where social media really can create a commUNITY! People coming together for a common good. I feel very blessed indeed! Thanks Maryann for all you do to entertain others and bring joy into our lives. And most especially thank you for sharing this very personal piece for the Month of LOVE. 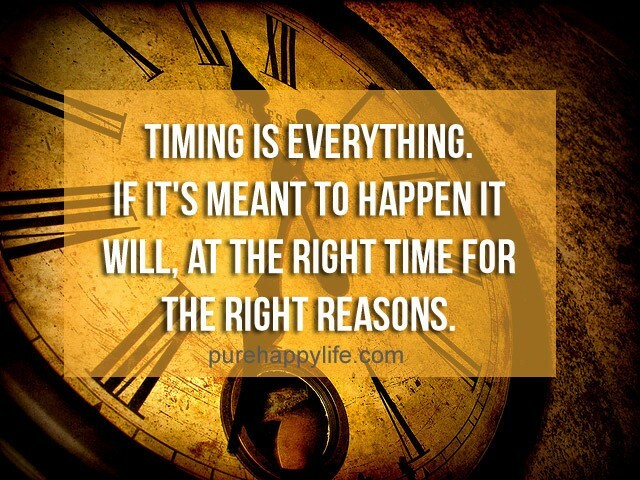 You are right, timing is EVERYthing! Insightful, and thought provoking! This was very well said and a wonderful reminder to take advantage of my time. Thank you Maryann! You are such a talented, creative spirit, my amazing friend! !